Page 64— Maggie springs into action! For a look at the inked version of this, take a look at yesterday’s Facebook page! 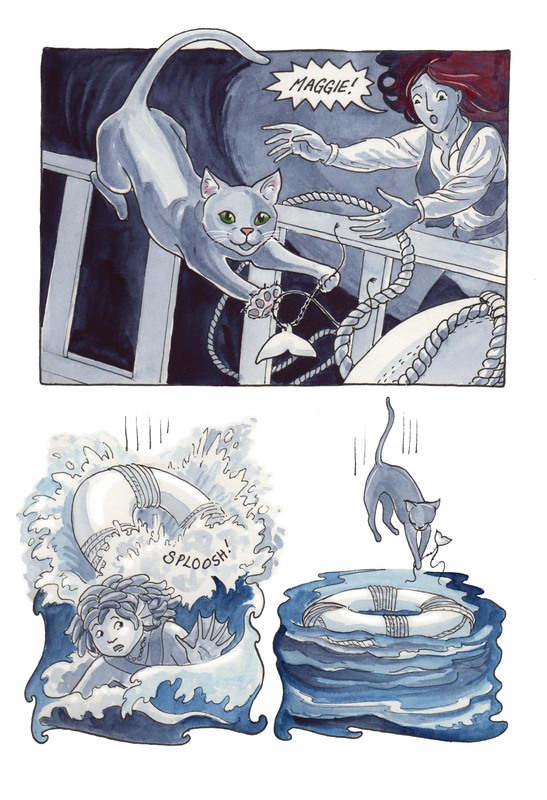 This comic was posted in Mermaid Music and tagged cat, comic, graphic novel, life preserver, merfolk, mermaid, mermaid comic, sailors, sea comic, ship, watercolour, webcomic.